Former President John Dramani Mahama has revealed his next government will hold a major stakeholders’ meeting to forge consensus on how the Free senior high school (SHS) policy must be implemented. “…If I become president of this country again or let me say by the grace of God when I become president of this country again, within the first three months of assuming office, we will hold a stakeholder meeting on free SHS and we will forge a consensus in this country on how it should be implemented so that we do not toy with the destinies of our children, Mr Mahama said while addressing a lecture at the University of Cape Coast on Thursday. The lecture, which was hosted by former Education Minister, Prof. Naana Jane Opoku Agyemang as the main speaker, was to assess the state Ghana’s education. Taking his turn, former president Mahama observed there are major challenges affecting the Free SHS policy, resulting from how the government implemented it. 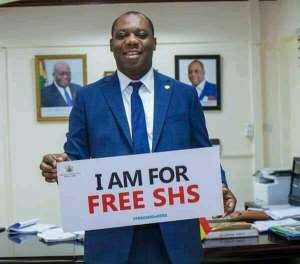 Currently, the Free SHS programme is run on a shift system known as ‘double-track’ school calendar system. The new programme creates a calendar of two semesters in a year for the SHS 1 class containing 81 days per each semester and 41 days of vacation for a sandwich class. But Former president Mahama believes the policy was implemented in an ad hoc manner and compromising on the quality of Ghana’s second cycle education, thus his government will abolish it. Prof. Naana Agyemang believes the implementation of the Free SHS was rushed without taking into consideration the data to use to provide schools with what they need, adding that it was “creating panic” among parents, guardians and the students due to the lack of infrastructure and other logistics for the pupils. Addressing students and lecturers at the lecture series organised by the NDC, Professor Opoku Agyemang, a former Vice Chancellor of UCC, admonished the government to accommodate views of teachers and headteachers in its policies in order to create a stable education system in Ghana. She said the National Democratic Congress (NDC) administration accommodated divergent views from stakeholders in the education, adding that it was the reason their government was largely successful in its educational policies. The first female Vice-Chancellor in Ghana said education was about linking minds, tolerating and respecting dissenting views, therefore, attacking people who expressed dissenting views was bad for the progress of the country’s education sector.